The first stage of quality assurance begins with the purchasing of GENUINE RAW MATERIALS FROM STANDARD companies. Secondly checking of raw materials under extreme conditions. Only after the raw materials are 100 % tested than they are sent to the production department. Steps performed in raw material Testing are: Checking fineness of resin,pvc stabilizers ,colour and testing its physical properties. Only the genuine and tested raw martial is sent to production department. 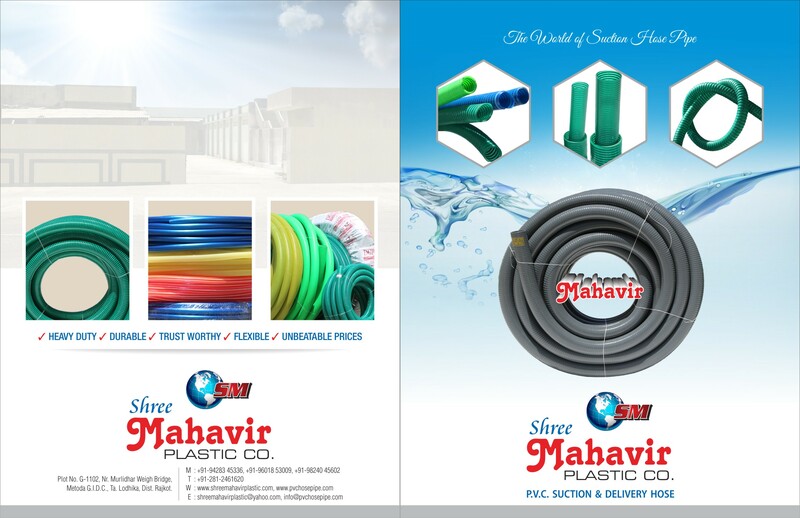 A team of 5 PRODUCTION ENGINEERS AND 12 SUPERVISORS assure that the quality of SHREE MAHAVIR PLASTIC HOSE PIPES. 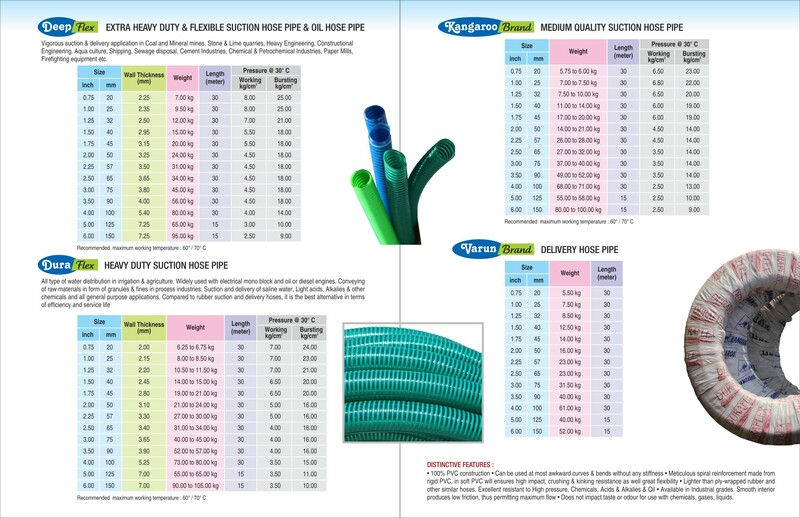 We have totally automatic machines for sending granules to machine and extrusion machines are fully automatic which ensures that goods are of utmost superior quality Latest german technology developed 5 machines for Suction line and 4 machines for garden are used for Production. Finished products are tested visually by our engineers and than the sophisticated quality control lab ensure that every physical property is tested. The goods are checked by quality control engineers by checking roundness,diameter,fining,tested their strength and durability. After the finished products are out of quality control lab, they are sent to packaging department where pp sheets are used for packaging. The goods are than sent toFINISH GOODSD EPARTMENT for dispatch.